Gulf Tower Condo For Sale, Gulf Shores AL. Gulf Shores beachfront condo for sale at Gulf Tower. RARE FIND! 2BR/2BA, East corner, Gulf Front condo features granite counters, SS appliances, fresh lighting, gorgeous decor, walk in laundry, tile flooring, and fresh paint throughout! 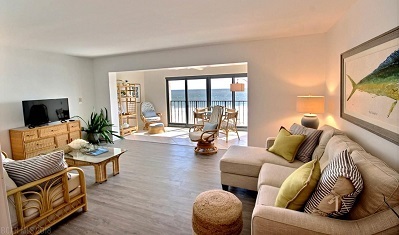 Watch the waves roll into your living room from the private, large, enclosed balcony area that can be used year round! Sold fully furnished. Gulf tower is in the heart of Gulf Shores and features covered parking, enclosed balconies, a great pool, and incredible Gulf Views!! Phenomenal rental potential! You don’t want to miss this one! !